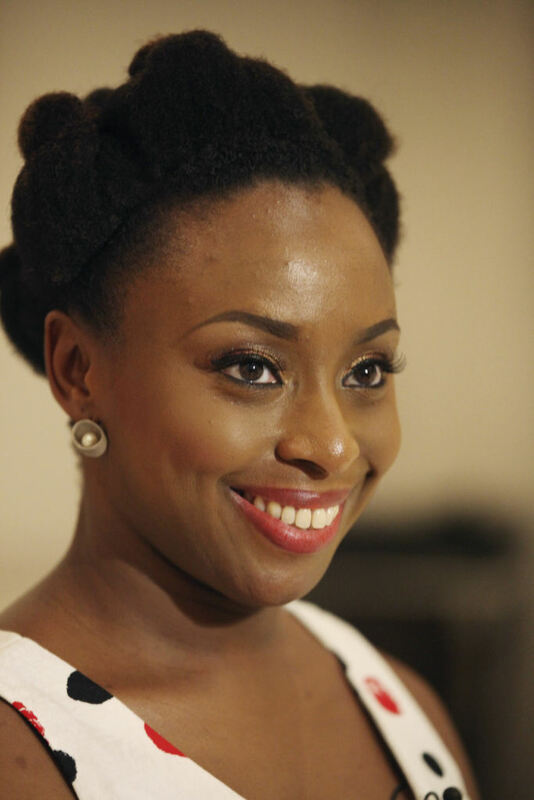 Chimamanda Ngozi Adichie ‘s Half of a Yellow Sun novel has won Baileys women’s prize for fiction ‘Best of the Best’ award and was crowned the preeminent winner from the second decade of the women’s prize for fiction. “For an author, so young at the time of writing, to have been able to tell a tale of such enormous scale in terms of human suffering and the consequences of hatred and division, whilst also gripping the reader with wholly convincing characters and spell binding plot, is an astonishing feat. The novel was made into a movie with same title Half of a yellow sun n 2014 by the Nigerian director Biyi Bandele, which featured Igbo British actors Chiwetel Ejiofor , Thandie Newton and many Nollywoods stars including Genevevi Nnaji, Onyeka Onwuenu and many others. In her most recent novel Americanah, Adichie was not only brilliant but she also displayed her understanding of human sociology with imbibing cultural theatrics that defines a vibrant and dynamic human society. Chimamanda Ngozi Adichie delivered this speech at the ceremony to mark Anambra’s Governor Willie Obiano’s 100 days in office. Ndi Anambra na ndi obia, ekenekwa m unu. I feel greatly honored to be here today. I want to thank our governor, Chief Willie Obiano, for inviting me. As we mark the first one hundred days of his term, I would like to commend him for his vision and ambition in the areas of education, health and agriculture. And particularly security. Most of us know how, for a long time, Onitsha has been a security nightmare. If you are travelling, you do NOT want to be in Upper Iweka after 6 PM because of the fear of armed robbers. But today, because of our new governor’s initiative, people in Onitsha no longer live in fear. True freedom is to be able to live without fear. A relative told me that you can drop your mobile phone on the ground in Upper Iweka and come back hours later and still see it there, which was NOT the case in the past. And which is one of the best ways to measure leadership – by the testimony of the ordinary people. My sincere hope is that, under the leadership of Governor Obiano, Anambra state will continue its journey of progress with strides that are wide and firm and sure. This is a state that has produced great writers. If Chinua Achebe and Flora Nwapa and Chukwuemeka Ike had not written the books they did, when they did, and how they did, I would perhaps not have had the emotional courage to write my own books. Today I honour them and all the other writers who came before me. I stand respectfully in their shadow. I also stand with great pride in the shadow of so many other daughters and sons of Anambra State. But the truth is that I have not always been proud of Anambra. I was ashamed when Anambra became a metaphor for poor governance, when our political culture was about malevolent shrines and kidnappings and burnt buildings, when our teachers were forced to become petty traders and our school children stayed at home, when Anambra was in such disarray that one of the world’s greatest storytellers, Chinua Achebe, raised the proverbial alarm by rejecting a national award. But Anambra rallied. And, for me, that redemption, which is still an ongoing process, is personified in our former governor Peter Obi. I remember the first time I met him years ago, how struck I was, how impressed, that in a country noted for empty ostentation, our former governor travelled so simply and so noiselessly. And perhaps he is proof that you can in fact perform public service in Nigeria without destroying the eardrums of your fellow citizens and without scratching their cars with the whips of your escorts. Former governor, Peter Obi, ekenekwa m gi. May the foundation you built stand firm and may our governor Chief Willie Obiano build even more. Most of the recorded history we have about the Igbo – and indeed about many other ethnic groups in Africa – came from foreigners, men and women who did not speak the language, missionaries and anthropologists and colonial government representatives who travelled through Igboland and recorded what they saw and who often had their own particular agendas. Which is to say that while they did useful and fascinating work, we still have to read their writing with a certain degree of scepticism. However, all the history books written about Igbo people are consistent on certain things. They all noted that Igbo culture had at its heart two ostensibly conflicting qualities: a fierce individualism AND a deeply rooted sense of community. They all also noted that Igbo people did not have a pan-Igbo authority, that they existed in small republican communities, to which that popular saying Igbo enwe eze – the Igbo have no kings – attests. Many of these missionaries and anthropologists did not approve of the Igbo political system. Because THEY themselves had come from highly hierarchical societies, they conflated civilization with centralization. Some of them wrote that the Igbo people were not civilized. This was of course wrong. The fact that the Igbo did not have an imperial system of governance did not mean that they were not civilized. One of the writers summarized the Igbo system as being based on two things: consultation and consensus. Perhaps it was this diffuse nature of authority that made it difficult for those early travellers to understand the Igbo. Professor Elizabeth Isichei has argued that if we are looking for unifying institutions among the Igbo, then we cannot look to political organization since there was no centralized system. Instead we must look at other areas – social institutions and customs, philosophical and religious values. And language. And on the subject of language, I would like to tell you a little story. Some years ago, I met an academic in the US. An Igbo man. He wrote articles about Igbo culture, organized conferences about Igbo history. We had an interesting conversation during which he bemoaned the behavior of Igbo people in America. He was very passionate. Then his phone rang and he excused himself and said it was his daughter. He spoke English throughout the call. At the end, I tried to be funny and asked him if his children spoke Igbo with an American accent? He said no. Something in his manner, a certain discomfort, made me ask—do your children speak Igbo? But they understand? I asked. Well, a little, he said. Which I knew meant that they probably did not understand at all. I was suprised. Not because it was unusual to see an Igbo whose children did not speak Igbo, but because I had imagined that THIS particular man would be an exception, since he wrote and spoke so passionately about Igbo culture. I imagined that he would not be infected with that particular condition of the Igbo – a disregard of their language. It is not enough to bemoan this phenomenon or to condemn it, we must ask why it is happening, what it means, what it says about us, why it matters and most of all what we must do about it. This condition is sadly not limited to the diaspora. I once ran into a woman here in Nigeria, an old friend of my family’s, and her little son. I said kedu to the boy. His mother quickly said no, no, no, he doesn’t speak Igbo. He speaks only English. She was proud that her child did not speak Igbo. Her reply was: Igbo will confuse him. I want him to speak English well. The woman’s reason — that two languages would confuse her child — sounds reasonable on the surface. But is it true? It is simply not true. Studies have consistently shown that children have the ability to learn multiple languages and most of all, that knowledge of one language can AID rather than HARM the knowledge of another. But I don’t really need studies. I am my own proof. I grew up speaking Igbo and English at the same. I consider both of them my first languages and I can assure you that in my almost 37 years on earth, I am yet to be confused by my knowledge of two languages. My sister, my parents first child, was born in the US, when my father was a doctoral student. My parents made a decision to speak only Igbo to her. They knew she would learn English in school. They were determined that she speak Igbo, since she would not hear Igbo spoken around her in California. And I can assure you that she was NOT confused! I am richer for it. Sometimes I wish I could speak beautiful Igbo full of proverbs, like my father does, and I wish my Igbo were not as anglicized as it is, but that is the reality of my generation and languages have to evolve by their very nature. I deeply love both English and Igbo. English is the language of literature for me. But Igbo has a greater emotional weight. It is the enduring link to my past. It is the language in which my great grandmothers sang. Sometimes, when I listen to old people speaking in my hometown Abba, I am full of admiration for the complexity and the effortlessness of their speech. And I am in awe of the culture that produced this poetry, for that is what the Igbo language is when spoken well – it is poetry. To deprive children of the gift of their language when they are still young enough to learn it easily is an unnecessary loss. We now have grandparents who cannot talk to their grandchildren because there is a hulking, impermeable obstacle between them called language. Even when the grandparents speak English, there is often an awkwardness in their conversations with their grandchildren, because they do not have the luxury of slipping back to Igbo when they need to, because they are navigating unfamiliar spaces, because their grandchildren become virtual strangers with whom they speak in stilted prose. The loss is made worse by imagining what could have been, the stories that could have been told, the wisdom that might have been passed down, and most of all, the subtle and grounding sense of identity that could have been imparted on the grandchildren. Some things can’t be translated. My wonderful British-born niece Kamsiyonna once heard me say, in response to something: O di egwu. She asked me: What does it mean Aunty? And I was not sure how to translate it. To translate it literally would be to lose something. One of the wonderful things about language, any language, is that it gives you a new set of lenses with which to look at he world. Which is why languages sometimes borrow from one another – we use the French au fait and savoir faire in English — because communication is not about mere words but about worldviews, and worldviews are impossible to translate. Some people argue that language is what makes culture. I disagree. I believe identity is much more complex, that identity is a sensibility, a way of being, a way of looking at the world. And so there are Igbo people who don’t necessarily speak the language but are no less Igbo than others who do. But I focus on language because while it is not the only way of transmitting identity, it is the easiest and the most wholesome. I’d like to go back to the story of the woman whose son did not spoke Igbo and the pride with which she related this. The corollary of her pride is shame. Where is this shame from? Why have we, as Ama Ata Aidoo wrote in her novel CHANGES, insisted on speaking about ourselves in the same condescending tone as others have used to speak of us? There are many Igbo people who say the same thing as the woman with the son. Others may not think that Igbo will confused their children, but they merely think it is not important in our newly globalized world. It is after all a small language spoken only in southeastern Nigeria. Kedu ebe e ji ya eje? It is indeed true that the world is shrinking. But to live meaningfully in a globalized world does not mean giving up what we are, it means adding to what we are. And speaking of a globalized world, I remember being very impressed by the effort that the people of Iceland put in preserving their language, Icelandic. Iceland is a tiny country with a population less than that of Igboland. Many people speak English but speaking Icelandic is also very important to them. It is NOT because Icelandic has economic power. Iceland is certainly not the next China. It is because the people value the language. They know it is a small language that does not have much economic power but they do not say: kedu ebe e ji ya eje? Because they understand that there are other values that language has beyond the material and the economic. And this I think is key: Value. To value something is to believe that it matters and to ACT as though it matters. We don’t seem to have this value. It is one thing to say speaking igbo is important, but it’s another to make a conscious, concerted choice to speak Igbo to our children. In many respects, to argue for the preservation of a language should be a conservative position, but oddly, in our case, it has become a progressive position. I should pause here and say that I am not trying to romanticize Igbo culture. I quarrel strongly with a number of things in Igbo culture. I quarrel with the patriarchy that diminishes women. I quarrel with the reactionary arguments that try to silence dissent by invoking culture, by saying that so and so is not our culture as if culture were a static thing that never changes. Igbo is not perfect, no people have a perfect culture, but there are Igbo values that we can retrieve and renew. The values of community. Of consensus. Her conscience. It seems to me that conscience is rare in Nigerian public life. It should not be, but it is. Conscience and integrity are central to Igbo culture, and to any culture that has strong communitarian principles. Conscience means that we cannot think only of ourselves, that we think of a greater good, that we remain aware of ourselves as part of a larger whole. Have we become, I wondered, a people now overly familiar with falsehood? Are we now allergic to truth? Should we not continue to have a metaphorical isa ile as a guiding principle? Should we not have a society where willfully telling lies that cause harm to others will have real consequences? The Igbo are famed for their entrepreneurial spirit. But at what point did we decide that we will no longer sell goods and services, but instead sell the safety of our sisters and brothers? How did we come to a place where people no longer sleep in their ancestral homes because they are afraid they will be kidnapped for ransom by their own relatives? Igboland was once a place where people were concerned about WHERE your money came from. Now that is no longer the case. Now, it matters only that one has money. As for where the money came from, we look away. In Chinua Achebe’s classic, Things Fall Apart; Unoka consults Agbala about his poor yam harvests. 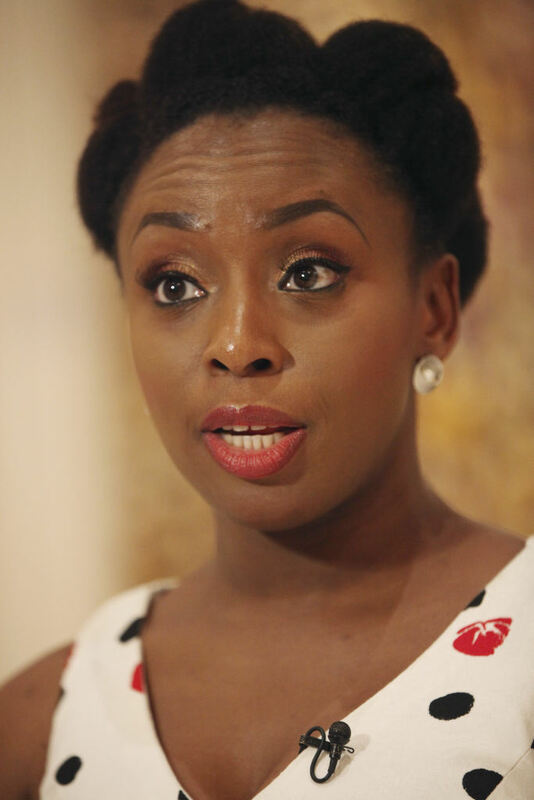 Accolades and awards are now becoming synonymous with the brainy and seasoned writer, Chimamanda Ngozi Adichie. 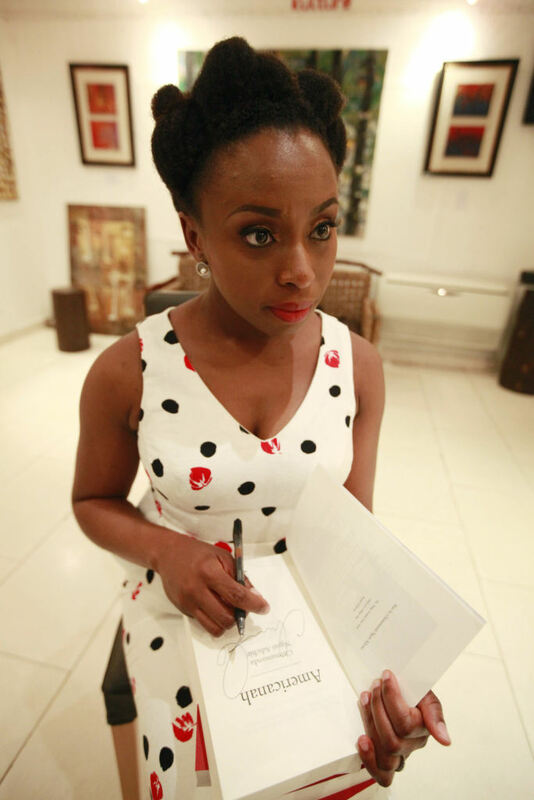 The American intellectual group, National Book Critics Circle has announced yesterday evening that Adichie won the National Book Critics Circle prize for fiction on her latest novel Americanah. Even before the arrival of her the novel, Americanah which is a well received fiction that traced, explored and unravel the enigma of American race relation, sociology intermingled with presence of recent immigrant from Africa, Adichie has already become a household name in the literary world. Adichie is the first African in the history of National Book Critics Circle prize to win the prestigious American award. Adichie is a first rate intellectual with a superior mind. Her ability to mingle abstraction and reality in-order to conjure a relevant and pragmatic novel is mind boggling. This buttress her act of ingenuity and intellectuality that has resonated with millions of adoring fans and readers. New York Times reported that "Chimamanda Ngozi Adichie and Sheri Fink were among the winners of the National Book Critics Circle Awards, named Thursday night in New York City. The awards, given annually to books published in the United States in English, are chosen by a group of nearly 600 critics and editors from major publications that cover books. The other winners were Amy Wilentz for “Farewell, Fred Voodoo” (Simon & Schuster), in autobiography; Leo Damrosch for “Jonathan Swift” (Yale University Press), in biography; Franco Moretti for “Distant Reading” (Verso), in criticism; and Frank Bidart for “Metaphysical Dog” (Farrar, Straus & Giroux) in poetry. " In explaining her motivation and understanding of American racial web, Ngozi Adichie said, "I feel as though being African, I can laugh at certain things that maybe if I were African American I wouldn't,” she said. “I don't know race in the way an African American knows race… Sometimes it takes an outsider to see something about your own reality that you don't." One of her novels, Half of a yellow Sun has been made into a movie with A- list actors including the Academy nominee and BAFT winner Chiwetelu Ejiofor, Geneva Nnaji, Thandie Newton and many others. The movie will be released for world wide this summer that focused on love relation that took place during Biafra Civil war. Millions of Igbo people were perished in the war and it was the first documented genocide in Africa. The National Book Critics Circle (NBCC) was established in 1974 to highlight books published in United States of America and it has around 600 members. His piercing cries scared me. Sounds that ached and keened. High drawn-out screams filled with loneliness. They shattered the silence of every room in the house, and I would press my hands against my ears. My mother said that since he was fed and dry, he was merely expressing himself, and his crying would exhaust him and bring sleep. She would shut the door and let him cry, in that bedroom that was his life, where he ate and cried and slept. He slept more now that my mother was taking care of him. He always slept. He slept for hours and he woke up red-eyed and screaming, and my mother pushed food into his mouth between his cries. She had been taking care of him for almost a year, since she lost her job. When the new state was created, she became, overnight, a native of Anambra, a non-indigene who could no longer work in Enugu. She found another job in Anambra, and was preparing to start – she would go on Mondays and come back on Thursdays – when, one evening, a lump began to swell on Ofodile's forehead. The nanny, Ukalechi, said Ofodile had not fallen down. Then she said Ofodile could not have fallen down, then she said she did not know if he had fallen down, because most of the time when she was taking care of him, he was alone in his room while she stayed in the parlour and watched TV. My father asked my mother: "Are you going to work out of state and let your son be killed by strangers?" He always said "your son". Ofodile was her fault, her sin. On that day when our new neighbours came, Ofodile paused between screams, and sank his teeth deep in the soft flesh of my mother's arm. She jumped, and tried to pull away from him, but his teeth held fast. In her flailing, in her pain and surprise, she hit the bottle of medicine next to Ofodile's bowl of mashed yam. The bottle fell and spilled oval tablets, pink like sweets. Finally, my mother pushed him away and got up and looked at him as if she did not know who he was. Ofodile's face was blank. His screams returned. My mother was examining her bleeding arm, mumbling, "He bit me seriously." She asked me to gather the vitamin tablets and put them back in the bottle. "Can I take one?" I asked her. I had never seen pink vitamin C tablets, not white like the sour kind or orange like the sugary kind. "No!" my mother said. Her "No!" swelled and rose and startled me. "This one is a special vitamin for your brother, and I have to give him now." She waited for a scream to tear open his mouth, pushed in two pink tablets and backed away as though he might bite her again. "When did he start doing this kind of thing?" she asked, as though asking herself. "Look at this blood. Let me go and find cotton wool and methylated spirit." As she left the room, she told me, "Lock the door." "Have you finished feeding him?" I asked. His bowl was half-filled with mashed yam. Before I locked the door, I looked at Ofodile sitting up on the bed, a slack-mouthed boy, his body round and defeated, his chin slumped on to his chest. I did not often look at him. The neighbours came a few hours later. They knocked on the front door. They looked like a couple from a TV drama. Husband and wife, attractive and tall and dressed in impossibly neat clothes just to stay at home. "Good evening. We're your new neighbours at number 311. We stopped by to greet you. I'm Doctor Igwe, I'm with the Medical Centre. This is my wife." Doctor Igwe had a thick, shiny moustache that I had seen only in drawings, never on a real person. He towered over my mother and filled the door frame. Mrs Igwe's large slanting eyes looked sketched into her dark-skinned face. She was standing quietly behind her husband, arms folded, and seemed also somehow apart from him. "We're from Onitsha," Doctor Igwe said. "My wife stayed there while I completed a fellowship abroad, but now we're reunited and I'm looking forward to life in this, our new home!" "Welcome, welcome," my mother said. She asked me to come and greet them. She said, "My husband is the dean of physical sciences. I was in the state ministry but decided to leave my job to pursue some business." Her accent became vaguely foreign. She was awed and admiring and flirtatious. She wanted to be their friend. She asked them to come to dinner, a welcome to the neighbourhood dinner, as though it was something she did for new neighbours. "Please, my sister, I know this town well, so if there is anything I can help you with, just let me know," my mother said. Mrs Igwe was not a smiling person. She stared at my mother with steady eyes. Then a sudden question, with no reason, no cause: "How many children do you have?" My mother paused before she said, "Two. I have two." "Where is the other one?" "He's… he's sleeping," my mother said. Doctor Igwe cut in, "OK, let's not take up your time. We're just going around greeting our immediate neighbours." After they left, my mother said, "What a strange woman. She is not what I imagined for a man like him. Yes, she is beautiful, but she is bush, she speaks English like somebody from the village and she has no manners. But him, he is a real gentleman." Sometimes days passed before my father saw Ofodile. He left very early for work, and came home very late, vague and sad-eyed, carrying files and papers. Sometimes while Ofodile was screaming, my father would open the door, glance in and shut it again. I did not remember the last time I had seen my father close enough to my brother to touch him. My mother cooked the dinner herself. Rich and glistening jollof rice. Catfish pepper soup flecked with green herbs. She did not trust the housegirl, Josephine, even to fry the plantains. Doctor Igwe and his wife arrived in a light cloud of citrus, as if they both used the same body cream scented with tangerines. Doctor Igwe talked and laughed. Mrs Igwe sat silently staring at the wall. My father tried to talk to her. "So, you're from Onitsha," he said. "Yes." She said nothing else. "I went to secondary school there," my father said. "Doctor said you don't eat fish," my mother told her. "So sorry. If I had known, I would have made the pepper soup with beef." Mrs Igwe nodded. "Yes, I don't eat fish." Doctor Igwe said, "Just before we got married, when my grandmother heard that Chidinma didn't eat fish because it made her break out in hives, my grandmother concluded that Chidinma was a water spirit from the sea, not a real person, which is why she can't eat fish, because fish are her siblings, and which is also why she is so beautiful. It was such an elegant theory that there was no need explaining a food allergy to the old woman!" Doctor Igwe laughed and my parents laughed. Mrs Igwe asked, "Where is your son?" For a moment, my mother looked startled. Mrs Igwe's eyes were hard, black pebbles and in them was something of an accusation. "He's asleep. He's not feeling well." "Since that day?" Mrs Igwe asked. "Yes," my mother said firmly and turned back to Doctor Igwe. She touched his shoulder. She touched people when she told a story. "Do you know," she would start with a tap on a shoulder, a hand. Josephine was serving bowls of pawpaw and pineapple. Mrs Igwe turned to my father. "Is it malaria?" My father faltered. "Em… yes… no, actually, it appears to be some kind of virus." Mrs Igwe looked at him silent and unblinking. Later, after my parents escorted the Igwes to their front door across the street, my mother said, "Something is not right with that woman." My father was silent for a while. "I have never seen a human being so beautiful." Then he went up to his study. Most nights, he slept in his study. In the morning, my mother asked what I had done with the key to Ofodile's room. "I don't have it," I said. "Mummy, you locked the door when the neighbours came." "Yes, and left the key as I always do, but now it's gone." My mother called Josephine. Josephine got on her knees and searched every corner of the floor in the house. She searched Ofodile's room. My mother searched the study, and also searched my room, in case I took the key without knowing. Even the spare key was gone, absent from the bunch of house keys kept in the corridor. "What kind of thing is this?" my mother asked irritably. We never found the keys. At first, I thought the sound I heard that afternoon was from Ofodile. My mother was upstairs feeding him. But the sound did not pierce through the walls, it was dull and low-pitched. It was my mother. My mother was shouting. I ran upstairs and saw her scratching at her face and neck and arms, screeching and writhing, scratching at her legs and arms. "It must be spiders! Ants!" She scratched and shouted. But there was nothing on her body, no insects in the room. She had scratched open her face and needle-thin lines of blood ran down her cheek. "Bring me water! Bring water!" she said, but before I could go for the water, she ran out of the room, towards the bathroom. On the corridor, she stopped. She looked around, bewildered. "It has stopped!" she said. She went into the bathroom, splashed water on her face. Then, back in Ofodile's room, she began again to scratch and shout. "What is this? What is this?" She shouted, running out of the room. "There is something in this room!" My mother called my father and asked him to come home immediately. "It is not a joke! Something is happening!" she said. "Go and lock the door," my mother said. "Why is he so loud?" My mother sat on the stairs, confused. "I have not given him his medicine." After a while, she opened the door of Ofodile's room. He was still screaming. She walked in slowly. One careful step followed by a pause. By the second step she was slapping at her shoulder, scratching viciously at her face, and she ran back out of the room. "Maybe it is an allergy to something there," she said. Ofodile's screams were painful to hear. "Go and give him his medicine, two tablets," my mother said. I looked at her. I had never fed him, never given him medicine. I went to the door, opened it. Ofodile was still sitting up on his bed. He opened his mouth and out came a long, piercing wail, then silence, then another drawn-out scream. I stepped in, waited to see if what had happened to my mother would happen to me. Nothing happened. Then I felt a sensation. A presence. Somebody was standing behind me. I turned quickly. "Mummy?" But my mother was still by the stairs. "Give him two tablets," she called. I heard breathing. Someone was breathing close to me. Someone who was not Ofodile, because Ofodile was on his bed. But of course it couldn't be. I grabbed the medicine from the table. My hands shook as I tried to open it. The bottle fell. Ofodile was now silent, watching me. I felt again the presence of breathing, of shadow. I was frozen, too afraid to stay and too afraid to leave. Ofodile began again to scream. I turned and ran out. My mother took me out to the veranda and we sat there, looking out at the yard and saying nothing until my father came home. "What kind of story is this?" he asked, exasperated, slightly amused. "You need to rest," he said to my mother. But he saw how shaken she was, and how dazed I looked. "Daddy, something was in that room," I said. For the slightest of moments, my father looked uncertain. His demeanour sobered. He got up to go and see. I followed him and stopped at the top of the stairs. Ofodile was still screaming, his pauses between screams were longer, but he had not stopped in more than an hour. My father opened the door. He peered in first, and then stepped in. "I don't…" he began, perhaps to say he did not see why we were so frightened. But his voice cut off and he said, "Oh God! Oh!" and ran back out of the room, scratching at his body as my mother had done. Josephine served our boiled yam and greens dinner out on the veranda. My father barely ate. He looked like a person dumped blindfolded into a foreign market. My mother did not eat, could not eat; she sat there shivering, even though the weather was warm. She said she was going to sleep at Aunty Betty's. She could not be in that house until something was done. "What about your son?" my father asked. "Can I come to Aunty Betty's with you?" I asked my mother. "We're staying here," my father said. "We'll just stay out of the room and tomorrow I will call in people to look at it." I said, "Ofodile is hungry." "He has not stopped crying since. He usually sleeps by now." "He didn't take the medicine," my mother said. "What?" my father asked, looking even more bewildered. "I was going to give him his vitamins when that thing happened," I told my father. "Why does it matter whether or not he took vitamins, for goodness sake?" my father said. "They are not vitamins. They are sleeping pills," my mother said. My father took a deep breath. "You give him sleeping pills?" "Yes, I give him sleeping pills. Every day I give him sleeping pills," my mother said. She stood up, defiant and defeated. "If you want, you can say you did not know." I felt, in that dusk-deep moment, separated from both of them. A single floating stalk. The sister of a boy who could not talk, who slept for hours and screamed for hours. I got up and ran upstairs. "Where are you going?" my mother called. But they did not come after me. I went into Ofodile's room. I sensed, again, that presence. But it was different now, perhaps because I was different now or perhaps it really was different, benign, slightly scented of tangerines. I pulled my brother up from the bed where he lay on his back. He was heavier than I imagined. I tried to carry him. He had stopped crying. He was warm; his hands were warm. I wiped at his eyes with my palm. He looked like me. His mouth was slack but he looked like me, the sparse eyebrows, the nose that flared. I tried again to carry him. I picked him up and stumbled out of the room with him. At the stairs, I put him down and held his hand as we descended. His gait was shaky. Twice his legs buckled. My parents stood side by side staring at my brother and me. "I'll feed him," I said. "In the dining room." Chimamanda Ngozi Adichie is an Igbo Nigerian and the author of Purple Hibiscus, which won the Commonwealth Writers' Prize for best first book and Half of a Yellow Sun, which won the Orange Broadband prize for fiction. She has also published numerous short stories, essays and poems. Her latest novel Americanah was widely received in US and around the world. Her famous speech on feminism was sampled by Beyonce in her music flawless. Hollywood superstar, Beyonce the American sensational singer has featured and sample Nigerian writer Chimamanda Ngozi Adichie in her latest music album. Ngozi Adichie is the author of many important novels including her latest acclaimed work, “Americanah," that explored race in America from a perspective of a Nigerian student in Ivy League college. Adichie is also the author of "Half a Yellow Sun," a novel that focused on a love story that took place during the vexing Nigeria-Biafra civil war that millions of souls perished that Nigeria is still struggling to move away from the episodic event. Both Beyonce and Ngozi Adichie will gain from the collaboration. It projects Beyonce as a serious person that appreciates higher intellectual reasoning with regards to feminist progressivism. As for Adichie her writings will become utilitarian crossover to audiences in pop and hip pop that would never been exposed to the intellectual and gallant writer. 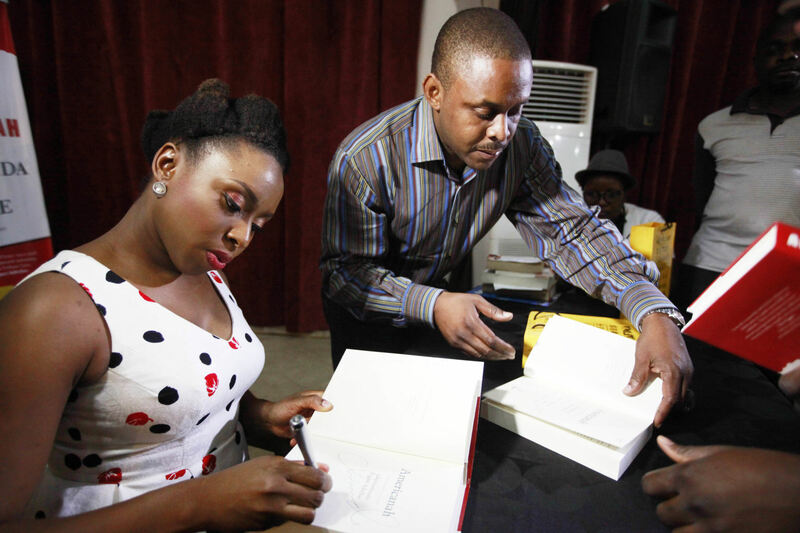 Adichie focuses on Nigeria's present for new novel- "Americanah." The traffic is there, grinding life to a halt as the middle class pound out messages on BlackBerry mobile phones and worry about Facebook. The heat, the sweat and the daily tragedy of unclaimed bodies lying alongside roadways, passers-by hurrying past for fear of someone else's misfortune becoming entangled in their own. Chimamanda Ngozi Adichie: Multi-faces with her new book "Americanah."